We understand that no two vacations are alike. We listen and tailor each vacation into a unique Nepalese travel experience for you. With nearly 10 years of experience, Yak Expeditions has perfected creating memories of the most special events and moments in life. We speak French. We do reply to your emails and queries in French. Feel free to contact us. 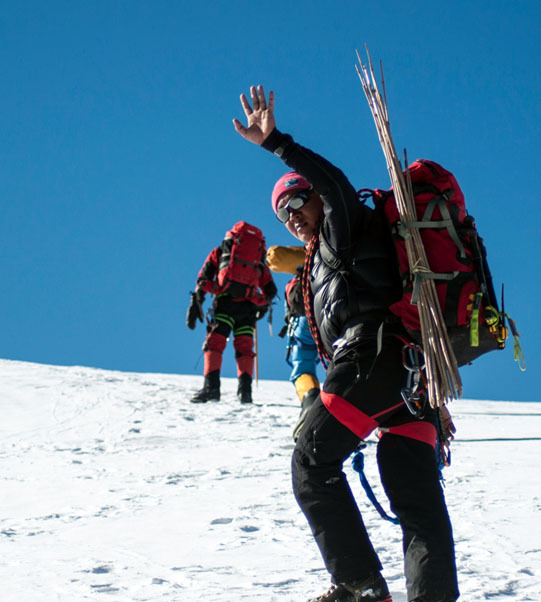 At Yak Expeditions, we love innovation and constantly look for new routes to our destinations, but we also accept that with leadership comes increased responsibility. While we have an excellent team of experts and the passion for creating journeys, our strength has always been our obsession with quality. We also have a firm obligation to reducing the adverse impact of travel on our environment and society, and we ensure that a visit from our guest has a positive effect on the destination. We source all our supplies locally and a high percentage of our staff are recruited locally. This level of local input ensures our trips are run responsibly with the local communities in mind. Respecting people, cultures and the environment is key in all our trips. Taking public transports, sharing good food in small places and walking in small groups makes you enter the realm on understanding what Asia is all about. In our trips, you come face to face with local people and all the while, you will get first-hand information about their life and their culture. Since we travel in smaller groups, we get a chance to take care of each and every one of our guests on a personal level. We understand that if you have paid for a particular trip, you need to get the best out of it.